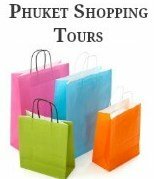 Phuket Beaches | Guide to the Best Beaches in Phuket. Phuket beaches are spectacular, and one of the most popular travel destinations in Thailand. The warm crystal clear waters and tropical climate, makes the island of Phuket an ideal place to take a family beach vacation or a top spot for romantic getaways. Throughout the Island of Phuket there are plenty of beautiful beaches to choose from, including a handful of secret beaches to explore. Below is our guide to the best beaches in Phuket, most of these are located along the west coast, where you will find a mixture of long beaches, calm waters, secluded inlets and rocky headlands. Some of the best Phuket beaches are also the busiest and most developed. The beachfront areas from Patong stretching south to Kata Noi have the largest concentration of hotels and resorts, as well as fantastic range of restaurants and shops. The Eastern shore is rocky and covered in thick mangroves and is adjoined by Phang Nga with its magnificent limestone Islands and hidden lagoons. The beaches of Phuket are all open to the public, although some have resorts built on them which in turn blocks access to the beach. The only way you can gain access to some of these beaches is through the resort or by longtail boat. Up until a couple of years ago, most Phuket beaches had deck chairs and umbrellas for hire along all the main tourist beaches. These days there are designated area's along certain Phuket beaches where you can use an umbrella and hire sunbeds. On the busier beaches like Patong, Karon and Kata beaches you will find these designated area's towards the back of the beach. Beach vendors are still selling their wares on the beach and will try to sell you anything from clothes to bed linen, just beware of the prices when shopping on the beach compared to the street price. There is a range of fun activities still available on Phuket beaches such as parasailing, banana boat rides and yes, the dreaded jet skis are still there. If you must hire a jet ski while in Phuket, which I don't recommend just make sure to do your own research before you do. You can still have a massage on many of the beaches in Phuket, they are usually located back from the beach near the designated area. Ao Sane is a beautiful spot located within the headland north of Nai Harn Beach. This beach is three small beaches split by small rocky headlands. Banana Beach is one of my favorite Phuket Beaches located on the north west coast of Phuket, hiding between Bang Tao and Nai Thon Beaches. 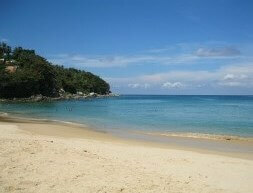 Bang Tao is a large open bay stretching 8kms in length, it is the second longest beach in Phuket. Freedom Beach is one of the most beautiful beaches in Phuket with soft white sand and crystal clear water surrounded by lush green mountains. 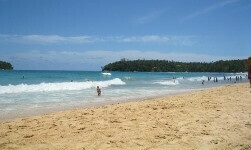 Karon is my personal pick of all Phuket Beaches and is the second largest tourist beach in Phuket. Kata Noi is a much smaller bay, with lush green covered mountains. Laem Singh is located between Kamala and Surin Beaches. Layan Beach is beautiful, with its white sand and crystal clear waters. Mai Khao Beach is located on the northwest coast stretching some 9 kilometres in length, this is the longest beach in Phuket. Nai Harn is located in one of the most beautiful Bays in Phuket, the white sand stretching for almost a kilometre. Pansea is a small secluded beach only 250 metres long; it is located between Bang Tao and Surin Beaches on the north west coast. Rawai Beach is located on the South East tip of Phuket and was the Islands first known tourist beach. 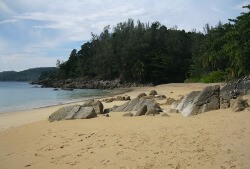 Tri Tra is picturesque, the beach is located in the headland just to the south of Patong. Whilst the beaches on the west coast of Phuket are the best, there are also some lovely beaches located on the south east coast of Phuket. 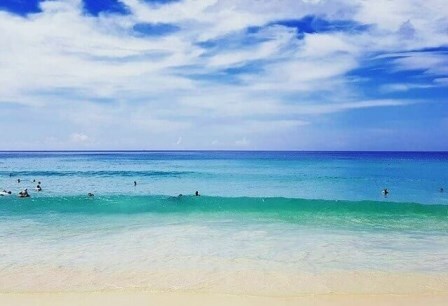 Phuket beaches and the offshore Islands are one of the main reasons that many visitors return to Phuket year after year. 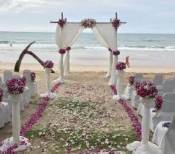 Not all of the beaches in Phuket are the same, every beach has a different appeal and attraction. Take a moment to tell us what your favorite beach is in Phuket and add that special picture that reminds you most about your time away.